High in the clouds of Faerieland (well, it doesn't look like it's fallen that far) is a game that mixes luck and skill, a place where one can spend a lot of time (but limited action!) seeing that unwanted bubbles disappear from Faerieland. 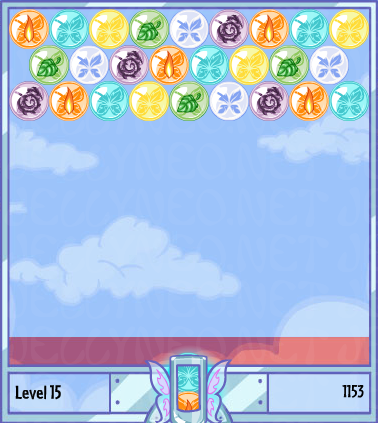 A game called... Faerie Bubbles. 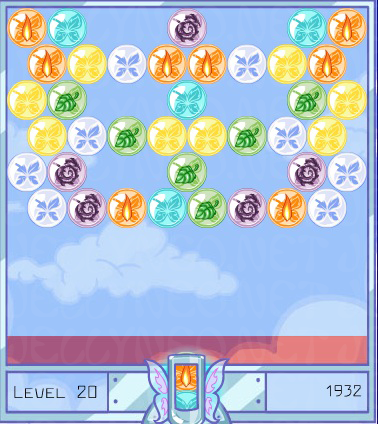 The goal of the game is to clear each level (there are 20 in all) of bubbles by putting together three (or more) of the same bubble type. 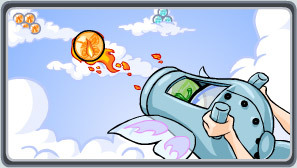 You use the arrow keys on your keyboard to change the angle of the bubble gun, and press the space bar to fire a bubble. Instead of a time limit, your moves are limited - every few moves a bar from the top will press down a notch. 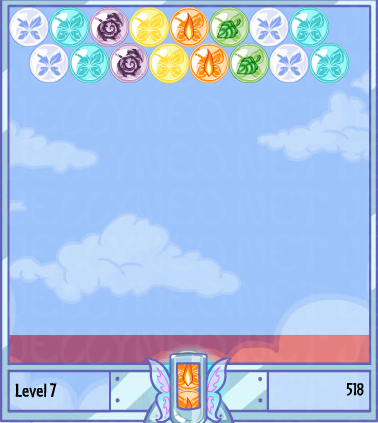 For the first four levels it moves down every 6 moves, after that it moves down every 5. If one of the bubbles hits the bottom of the screen, it's game over! 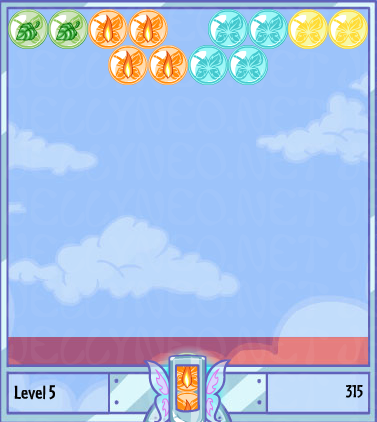 You also win bonus points for finishing a level in limited moves - an added incentive! In the first level, you get a set of guidelines, which show you exactly where the bubble you fire will land - after that, it's up to you! Note: If all the bubbles that a bubble is attached to disappear (and it's not touching the top), that bubble will fall as well! A water combination destroys all water bubbles on the screen. If you have two in your cannon but you only need one to complete the combo, you can just shoot the first water bubble anywhere so it doesn't touch the others, and use the second to finish off the combo. Fire burns all non-water bubbles that touch the combo. This is the best possible combo in the game—try to trigger as many of these as you can in your game; it will be a big help in finishing the levels off quickly. Air fills in the empty spaces of the lines the combo touches with more random bubbles! However, if you make a complete line of air bubbles so that there are no gaps for new bubbles to pop into, then the only thing that will happen is that the entire line will disappear. It's worth it to note that in some later levels, you may get a line entirely of air—if you hit it anywhere with an air bubble, all the bubbles below it will fall! Earth makes a new line of bubbles appear on top. This one can vary—it may give you a nice combo, but it's more likely to give you bubbles you don't want! 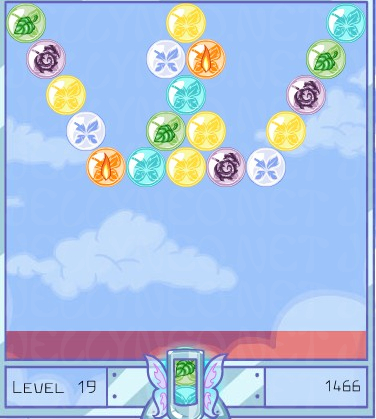 Even if the earth combo is the last set of bubbles you have to clear in a level, a new line will still appear—no getting off easy! Light changes all bubbles touching the combo into one random color, which is good or bad depending on what color they turn into. We may be tempermental, but that doesn't always mean bad. There are more chances for combos to go bad than good, so watch out! If you're on an early level, it may be worth it simply to restart the game until you get a good set. 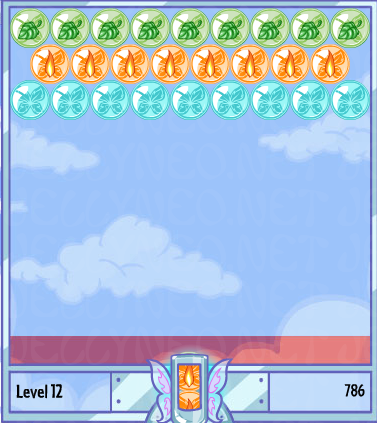 In the early levels, the chances of a positive layout are much higher than the negative ones - make sure you practice working with what you're given! The Nova Bubble destroys all bubbles within a two bubble radius of wherever it touches. The Rainbow Bubble takes on the colour of the bubble it touches first. With an avatar at stake and a somewhat more difficult path to max NP payout (not to mention a super-cool trophy! ), finding a way to maximize your points can be pivotal. 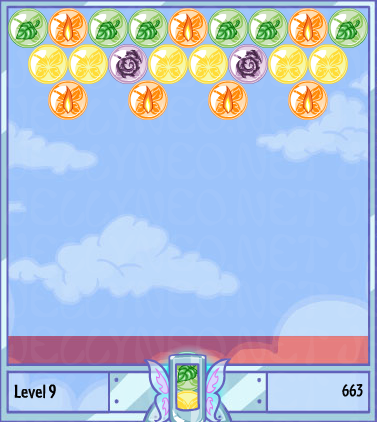 Unlike some games (such as Spinacles), you can't stay on one level forever, racking up points. Not only will you risk your survival, but you'll also be sacrificing bonus points! 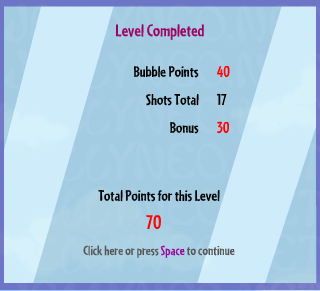 The main scoring is pretty basic - you get 1 point for every bubble that falls or is otherwise destroyed. If you activate a combo, you'll also earn an additional 5 points. 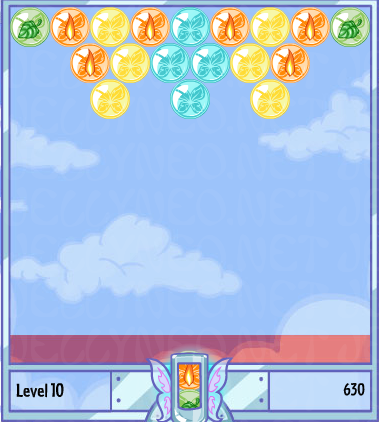 Once you finish a level, you also may earn bonus points, depending on how many moves it required. 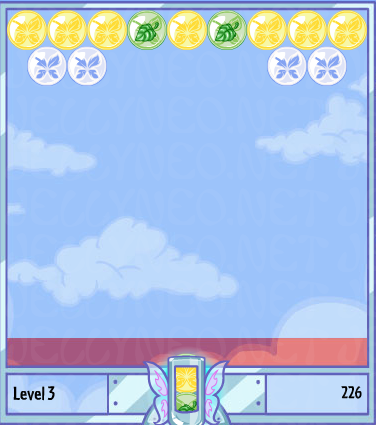 You'll see all of these points on a screen that shows up after a level is complete. As long as you've finished the level properly (and in fewer than 35 moves), you'll be awarded a bonus based on the number of moves it took you to complete. Here's a handy-dandy chart! 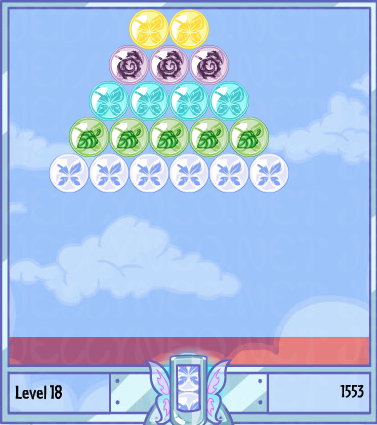 Each level has a specific set up—the bubble types it's comprised of may change, but the layout will not! 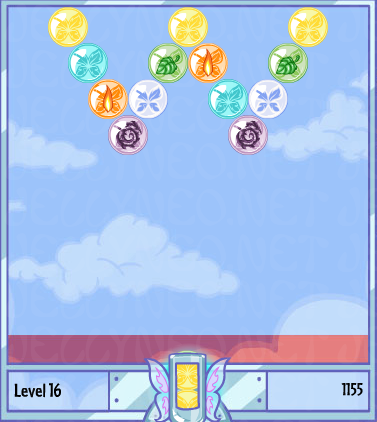 Here are previews of each of the twenty levels. 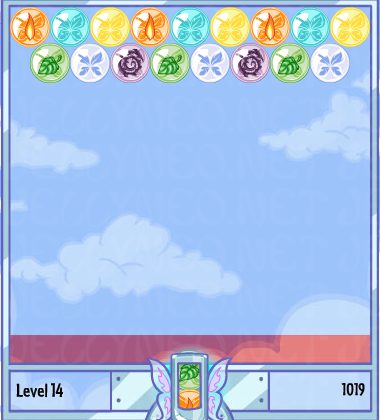 Thank you to berry for the screenshots of Level 19 and 20! 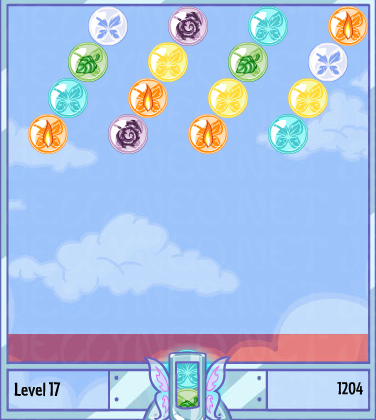 Faerie Bubbles looks like a simple game at first glance, but that can be deceptive! Here are a few more things to help you out along the way. If your bubble gun becomes "stuck" press the left or right arrow key and then the up arrow key. Pressing the up arrow key is also useful if you have to shoot a bubble into a void in the exact middle of a row - it brings your gun directly back to center. The bar at the top moves down every 6 shots for the first four levels, and every 5 after that, regardless of whether you manage combos or sets. The exception comes when you have only one colour of bubble left. At that point, it will move down every 3 shots. Each of these official cheat codes will work once per game. It's to your advantage to wait until you absolutely HAVE to use them to continue. Typing "stardust" turns the current bubble in your cannon into a Nova Bubble. Typing "faerieland" turns the current bubble in your cannon into a Rainbow Bubble. 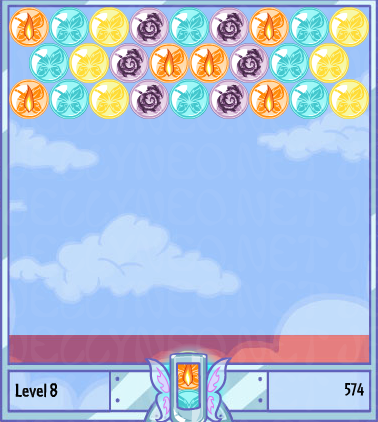 Typing "slumberberry" will make the bar pushing the bubbles down return to the top. Most useful when you're 1 push away from dying. Typing "supernova" will add a Nova Bubble to your queue of bubbles (usually in the third spot). 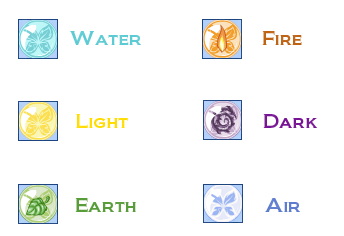 This can be used in addition to stardust. Typing "bubbles" turns all of the bubbles into one type. However, there is a downside to this one. Sometimes, it will change all the bubbles into a Nova or Rainbow bubble! To counter this, use the stardust or faerieland cheat to create the necessary bubble to pop them all. And in other cases, of course, you wind up with a type of bubble you don't want. 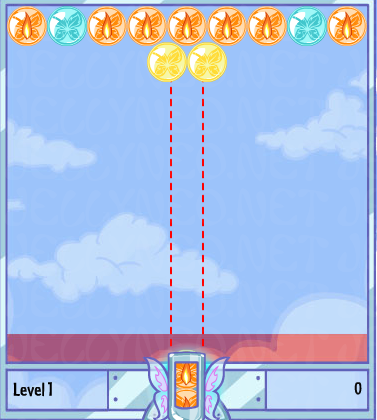 As an example, if you get really, really stuck on a level a good combination of cheats to use would be "bubbles", followed by "faerieland" if you don't have the proper bubble coming up in time.